With Organic Color Systems you no longer have to suffer while getting your hair colored! Gone are the noxious fumes, stinging scalp, watery eyes, and the damage ammonia causes to your hair. 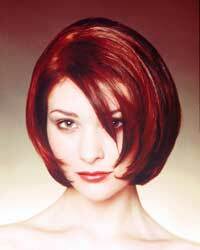 Organic Color Systems is the proven Ammonia free, high performance range of long-lasting, permanent hair color. It contains certified organic extracts and natural ingredients that maintain your hair’s essential moisture and protein levels, so your hair is not damaged by the coloring process. In fact, with this color your hair will be healthier, shinier, and more natural looking than ever before. Organic Control Systems is a line of 100% plastic free styling products that allows your hair to move freely, yet still maintain its style. You’ll love that your hair is not left crunchy or brittle! Suitable for all hair types, these products can be mixed together for your own unique styling needs. Creme is great for medium hold texture. Gel provides a soft hold and curl retention. Glaze is a lightweight gel with medium hold. Spray Gloss adds shine without extra weight. Gloss Serum is fantastic for curls & shine. Volume Mousse is a favorite for adding body. Spray Gel offers strong hold with volume. Organic Connect is a special range of natural products designed to address certain hair care and styling situations. Finale Hairspray gives your hair shine, holds the style & still allows for natural movement. Hydrate Leave-In Conditioner will leave your hair silky soft with a deep natural shine. Putty gives medium hold for defined styles. Silver Shampoo is great for blondes, or grey hair to remove unwanted yellow tones. Thermal 2 Twenty provides extreme heat protection from styling. The Organic Care Systems range is the perfect complement to your new color service. Bring them home with you to maintain healthy hair and protect your color between salon visits. Organic Care Systems is designed for specific hair types and consists of pH balanced shampoos, conditioners and reconstructing treatments. This line is even powerful enough to repair hair previously damaged by harsh chemical services. Aqua Boost gives nourishment to dry, coarse hair. Power Build adds strength & volume to fine hair. Status Quo is for normal hair & ideal for daily use. Soothe Plus calms sensitive or irritated scalps. 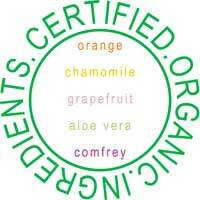 This range is made with the best natural & certified organic ingredients. It contains no parabens, no sulfates & no animal products. Please consult your stylist to build your very own at-home Organic Care Systems regimen for daily use.